The Recover now button is disabled. 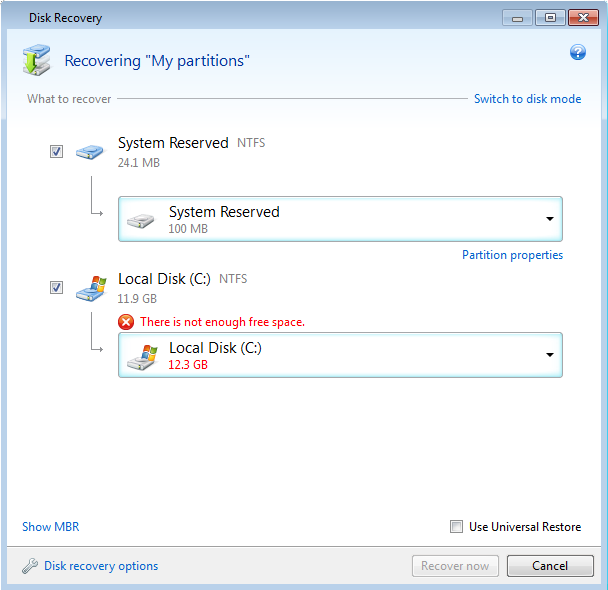 Restore this incremental or differential backup. Please contact Acronis Customer Central if you need assistance.